Betti Franceschi was born in Cleveland, Ohio. She studied at Indiana University, Carnegie Tech and took her B.A. at Hunter College. Her work has been included in exhibitions at the National Academy of Design, the N.Y.U. Small Works show, The National Arts Club, and the Gallery at Lincoln Center, all in New York, and at the Harmon-Meek Gallery in Naples, Florida. There have been solo exhibitions at The National Museum of Dance in Saratoga Springs, New York, at the Shepherd Gallery and the New York City Ballet Gallery in New York, and at the Philharmonic Center for the Arts in Naples, Florida. The Still Point drawings were published in England as a book, which won six nominations to the National Trust Show in London, England and Frankfurt, Germany, and exhibited at Sadlers Wells and other venues in London. Her work is in the collections of the National Museum of Dance and the Rhode Island School of Design, the Scarsdale Ballet Academy, and private collections. 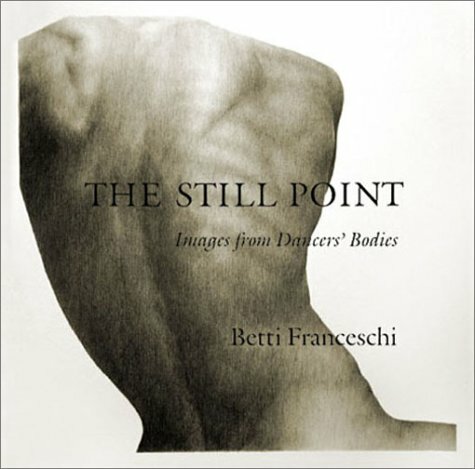 Betti's book, 'THE STILL POINT - Images from Dancers' Bodies' is available to buy at Amazon.com.